[German]Currently, developers of various apps that are available in the Microsoft Store received a mail from a lawyer who is on behalf of Microsoft. 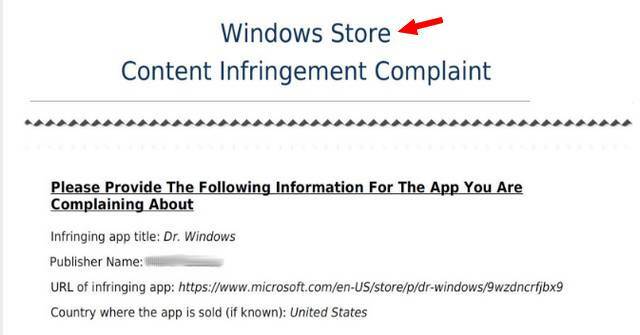 The mail requests, that the developer has to remove his app from store because of an copyright infringement of the name’ Windows’ in the app name. Legally ok – but it sounds like Microsoft is eagerly fishing for a Streisand effect. The app of WindowsAerea has been available in the store since 2012, as you can read within this WindowsArea.de article. 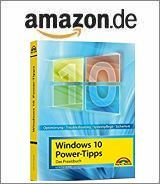 And the app by Martin Geuß and his Dr. Windows community has probably been in the store since then, six years ago, as Martin writes at Dr. Windows. And if I’m not completely wrong, Microsoft granted a Windows Insider MVP to both site owners for their sites and the community activities related to this site (Martin Geuß was awarded also as a real Windows Consumer MVP before Windows Insider MVP has been created). The two mentioned site owners received the mail on Saturday. Microsoft’s lawyers set a deadline of one day to rename or remove the app. Otherwise, Microsoft will remove the app due to copyright infringment from Microsoft store. And they say, the developer account may be shut down. The friendly lawyers didn’t realize that Microsoft’s marketing department had long ago renamed the Windows Store to “Microsoft Store”. If somebody is legally subtle – and Microsoft was it probably with the legal battle initiated from German consumer right activists due to the Windows 10-forced update, see my German blog post Windows 10 Gratis-Upgrade: Unterlassungserklärung wirksam, dealing with the dirthy details of a cease-and-desist declaration – could argument: The lawyers demand something that is not given, because the app isn’t in Windows Store, it’s in the Microsoft Store. Of course, the site owners are more than happy, to change or remove an app, where they spend many hours and money to develop. And I’m curious to see if Microsoft asks legal departments to request websites to change the name’ Windows’ within their site title. The URL from my website isn’t in danger – and I’m able to changed the name of this blog quickly to Born’s IT- and Linux-Blog. Many years ago, Microsoft people offered to me to create an app for Windows 8 that should displays my blog posts. They would have paid for everything, only the developer account I would have had to pay for. I then took a closer look at it and found that hundreds of scrap apps has been in the store, subscribing to nothing but an RSS feed and then displaying it. My decision at that time was: You don’t spend a penny for this crap, let them take their apps and the Windows store to where the pepper grows. Anyone who wants to visit my blogs should use a browser – like our ancestors have done since the last millennium. My web search within my blog brought my rant Der Windows 8 Store und der App-Müll from 2012 to light. It was the year, where the apps mentioned above has been landed in the ‘Windows’ store. The fact that the left hand at Microsoft doesn’t know what the right hand is doing is already part of the program. Microsoft USA is attacking Dr. Windows and other sites, due copyright infringement the their apps. But Microsoft Germany, on the other hand, organizes the Dr. Windows Community Day. It seems, that Microsoft is no more in need for community support. That’s feels like ‘the 50 shade of gray’ in cooperating with Microsoft, I guess? Or what’s your opinion? This entry was posted in Allgemein and tagged Microsoft, Windows. Bookmark the permalink. Pingback: El mundo se vuelve loco: Microsoft no quiere en la Microsoft Store aplicaciones que contengan la palabra Windows | Sony Xperia Z1 - La mejor tecnología en tus manos.